Nicolas Cage's new wife Erika Koike won't contest his request for an annulment, which was filed four days after they tied the knot. The 'Con Air' actor - who was previously wed to Alice Kim, Lisa Marie Presley and Patricia Arquette - married Erika in Las Vegas on Saturday after obtaining a marriage license on the same day, and later filed for an annulment of their union four days later on Wednesday. And according to The Blast, Nicolas won't see any protests from Erika, as she reportedly agrees with the decision to nullify their marriage. Sources told the publication that both Nicolas and Erika think the marriage was a "mistake", and will Erika on board with the annulment proceedings, it's now a matter for a judge to decide if there's grounds to grant an annulment. Annulments are awarded when a marriage is legally void, which Nicolas is believed to be arguing based on him being intoxicated when the pair wed. However, court documents filed this week claimed that if an annulment is not awarded, Nicolas will pursue a full legal divorce to terminate the four-day marriage. Before being romantically linked to Erika in April 2018, the 55-year-old actor had said he was "shocked" when he and Alice - the mother of his 13-year-old son Kal-El - split in January 2016 shortly before he started shooting his movie 'Mandy'. He said: "It was a shocker for me - I definitely didn't see it coming, and those feelings had to go somewhere, so they went into the performance." Before marrying Alice, Nicolas - who also has son Weston, 27, with former partner Christina Fulton - was wed to Lisa Marie for several months in 2002 and Patricia from 1995 to 2001 but he doesn't "count" their marriages as real. He said: "I don't really count those two marriages, I don't think they belong on my record. The real marriage for me was the 14 years I had with Alice and the child we have together." 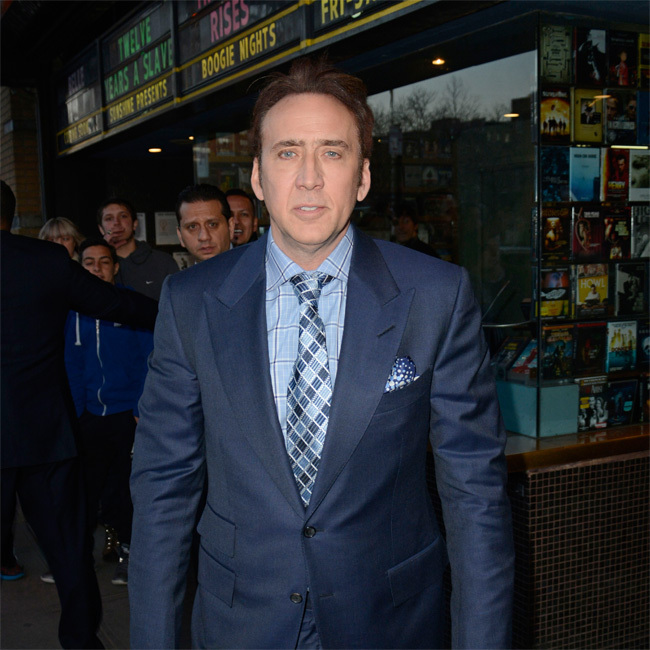 Nicolas Cage has filed for an annulment of his marriage, just four days after tying the knot to partner Erika Koike. The 'Con Air' actor - who was previously wed to Alice Kim, Lisa Marie Presley and Patricia Arquette - made a court application for a license in Clark County, Nevada, on Saturday and reportedly tied the knot with his partner Erika Koike on the same day. But it seems the marriage wasn't to be, as TMZ has reported that on Wednesday, just four days after getting married, the 55-year-old actor filed new court documents asking for the union to be annulled. Annulments are awarded when a marriage is legally void, which Nicolas is believed to be arguing based on him being intoxicated when the pair wed in Las Vegas. However, court documents claim that if annulment is not awarded, Nicolas will pursue a full legal divorce to terminate the four-day marriage. Nicolas - who lives in Las Vegas - has largely kept his relationship with the make-up artist out of the spotlight but they were first romantically linked in April 2018 when Erika was seen with him in Puerto Rico while Nicolas shot a movie. Last October, Nicolas admitted he was "shocked" when he and Alice - the mother of his 13-year-old son Kal-El - split in January 2016 shortly before he started shooting his movie 'Mandy'. 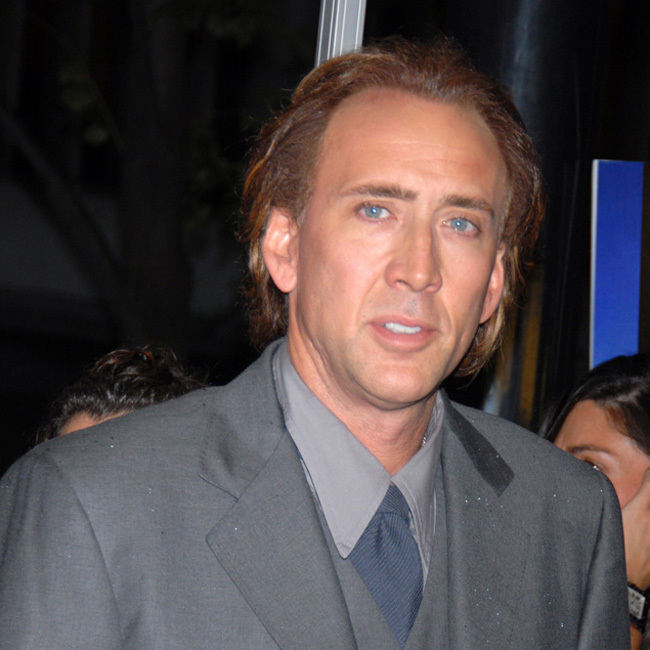 Nicolas Cage has sparked speculation he is preparing to marry his girlfriend Erika Koike after applying for a marriage license. The 'Con Air' actor - who was previously wed to Alice Kim, Lisa Marie Presley and Patricia Arquette - made a court application in Clark County, Nevada, on Saturday, with his girlfriend Erika Koike listed as the second party, TMZ reports. The marriage license would be valid for one year from the time it is approved. Nicolas - who lives in Las Vegas - has largely kept his relationship with the make-up artist out of the spotlight but they were first romantically linked in April 2018 when Erika was seen with him in Puerto Rico while the 55-year-old actor shot a movie. Asked if he and Alice are still friends, he added: "Oh yes, I want to. She was quite young when I married her and I don't really have any ill will towards what happened. That's all I'll say."